Charli Black is on top of the world. She’s only a junior in high school, and she’s just been named cheer captain. She’s dating Blake Strong, the quarterback and captain of the football team. Life seems almost perfect. 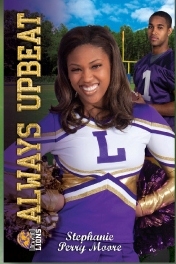 But suddenly things change, and she no longer knows where she stands – with her cheer team and also with Blake. Blake Strong loves football, but he also loves his family. And when devastating news about his mom nearly crushes him, he turns to Charli to lean on. But Charli is too busy with her girls to have any time for him. Is it time to end things with Charli, and move on to someone who seems to care? In Always Upbeat / All That, the reader is given both sides of the same story. After reading Charli’s thoughts, we then get a glimpse of Blake’s perspective, which helps us better understand his actions. Set in a predominantly African-American community outside of Atlanta, this story offers real-life drama for urban teens. 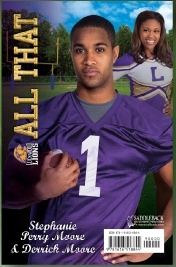 The Lockwood Lions series pulls no punches. These are kids the reader can relate to, and the situations are not sugar-coated. But overall, this series send a positive message of getting a good education, avoiding trouble, and striving to do the right thing.